The 36th annual Vancouver International Film Festival is “expanding the frame” to include more international films, more special presentations and industry talks, and more interdisciplinary events from September 28 to October 13. New this year is a whole day devoted to programming from Buffer Festival, a showcase of YouTube content. At VIFF, attendees can learn all about becoming a YouTube creator, watch exclusive YouTube premieres, and meet some of the creators in person. Another new aspect of the festival this year is VIFF Live which pairs films with live music. 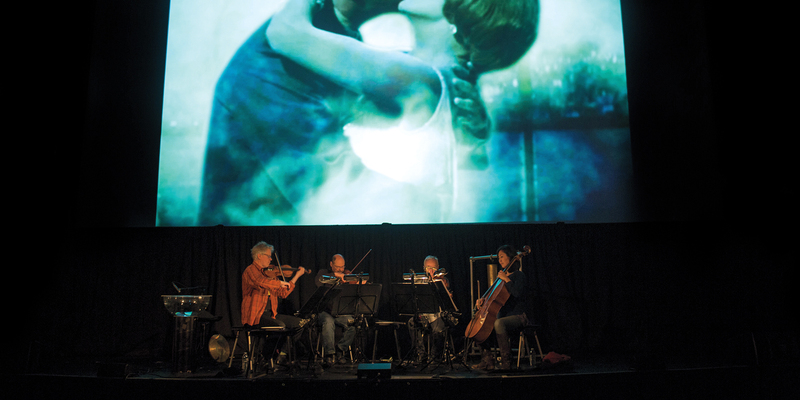 Headlining this series is Kronos Quartet who will perform a live score alongside The Green Fog, a re-imagining of Alfred Hitchcock’s Vertigo. Other artists featured in VIFF Live include Brasstronaut, Louise Burns, Jon and Roy, Little Destroyer, and Sam the Astronaut. The Opening Gala film on September 28 is Meditation Park by Vancouver director Mina Shum. Set in East Vancouver, it’s the story of Maria (Cheng Pei Pei) who finds another woman’s thong in her husband’s pocket and embarks on a mission to find out the truth. Closing the festival on October 13 will be Todd Haynes' Wonderstruck, a time travel story that follows two deaf 12-year-olds, Ben (Oakes Fegley) and Rose (Millicent Simmonds), who end up in New York City to discover their identities. Other special presentations include a tennis drama, Borg vs. McEnroe, Ruben Östlund’s The Square about an art museum curator, and a Chinese action feature, The Hidden Sword. Bong Joonho returns to VIFF with his latest film, Okja, which will feature a special “In Conversation” session with the filmmaker after the screening on September 30. The BC Spotlight Awards Gala on October 7 features Melanie Wood’s Shut Up and Say Something, a documentary about spoken word star Shane Koyczan. With over 300 films at the festival, it’s a good thing they are organized into thematic streams to help festival-goers navigate the overwhelming variety. The Impact Stream features documentary films about urgent social issues that can inspire us to take action such as Karina Holden’s Blue about the declining health of our oceans and Ai Weiwei’s Human Flow about the global refugee crisis. For films from right here in BC, check out the Sea to Sky Stream, and for the best in Canadian film, there is the True North Stream. A collection of Asian films is featured in the Gateway Stream, and the M/A/D Stream (music/art/design) features films that showcase artistic prowess such as Clive Davis: The Soundtrack of Our Lives about the legendary pop music producer, and Louise Lecavalier in Motion about the Canadian dance icon. In the ALT Stream, one can find short films and cinema that defies categorization. The Panorama Stream is aptly named for its wide-ranging offerings of French cinema, documentaries, and contemporary world cinema including Academy Award hopefuls such as Andy Serkis’ Breathe, the story of a charming young man who is stricken with polio at the age of 26 and left paralyzed. With such a large variety of films, there is sure to be something to satisfy every taste. Whether you’re a film buff or a fair-weather film lover, you will find many silver screen gems at VIFF.